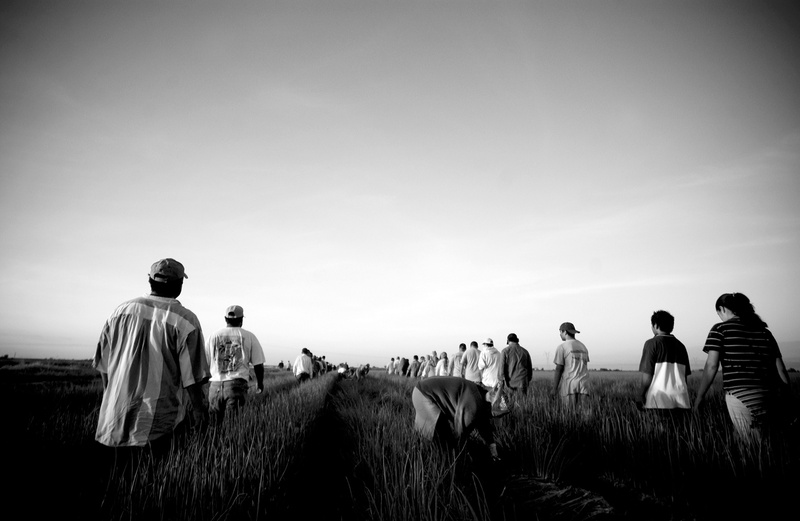 (Ejido Hermosillo, Sonora, Mexico - 08.29.2007) -- Field workers walk in single file lines to take their positions in a field of green onion as they begin their day's work, outside of Ejido Hermosillo, Sonora, Mexico, on Wednesday, August 29, 2007. Workers such as these begin their day at 4:00am, having their breakfast in the field. Most will work a full 10 hour day bundling green onion by hand at a price that is easily quadrupled by workers picking the exact same crop in American fields just an hour's drive north across the border.